December 16, 2016 newsFingerLakes1.com, Inc.
Big News to share here at Oleksa Dental! Dr. O is at it again! He will make the commitment to run the 2017 Boston Marathon in support of the Dana Farber Cancer Institute. 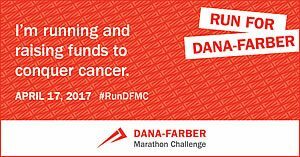 One hundred percent of every dollar raised by the DFMC team supports the Claudia Adams Barr Program in Innovative Basic Cancer Research at Dana-Farber Cancer Institute. On April 17, hundreds of Dana-Farber runners will take to the streets to participate in the 121st Boston Marathon®. The DFMC tea…m runs and raises funds with thousands of special people in mind. From Hopkinton to Boston, we carry thoughts of those people every step of the way. We are asking for support from our patients and our wonderful community in his efforts to reach his fundraising goal this year! You can donate by visiting, www.runDFMC.org/2017/jerryo. You can learn more about the program by visiting www.runDFMC.org.